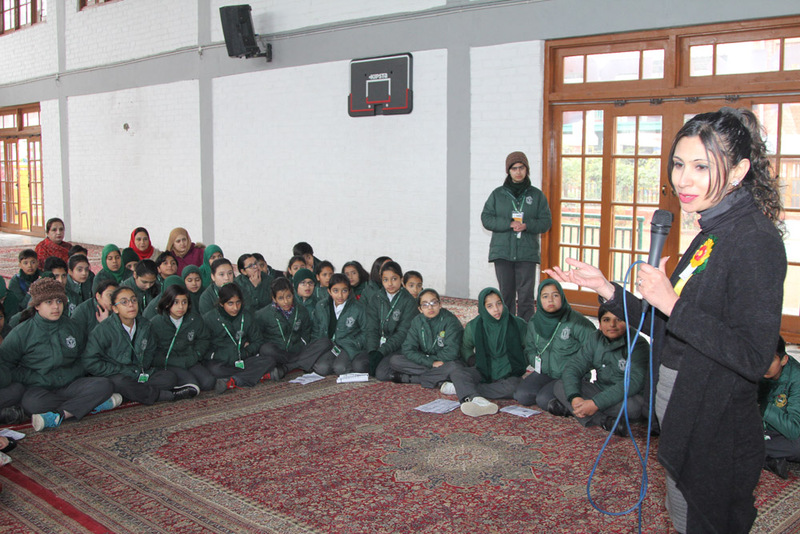 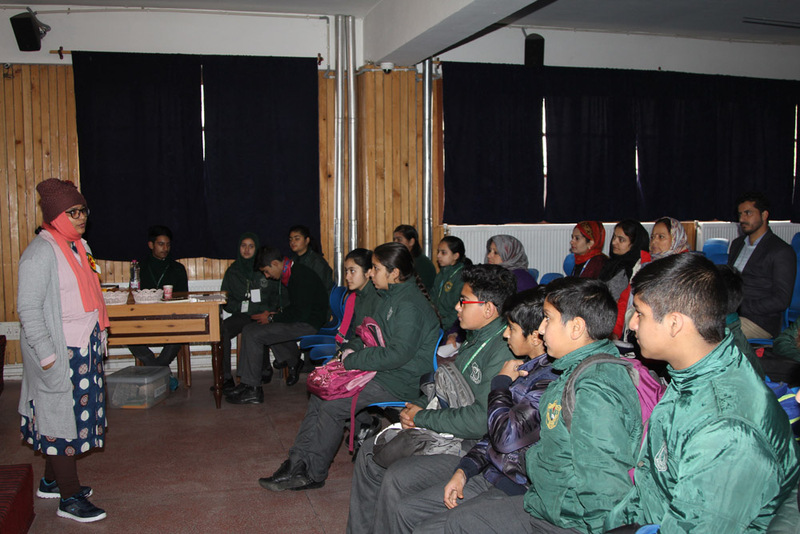 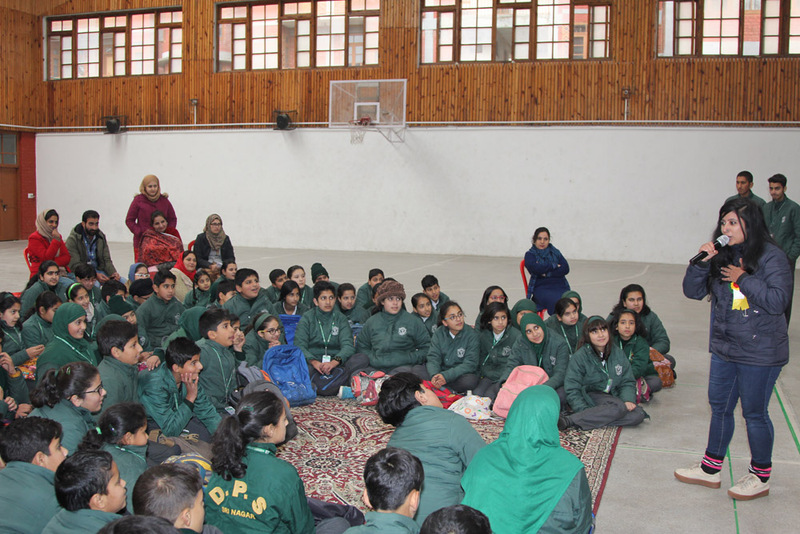 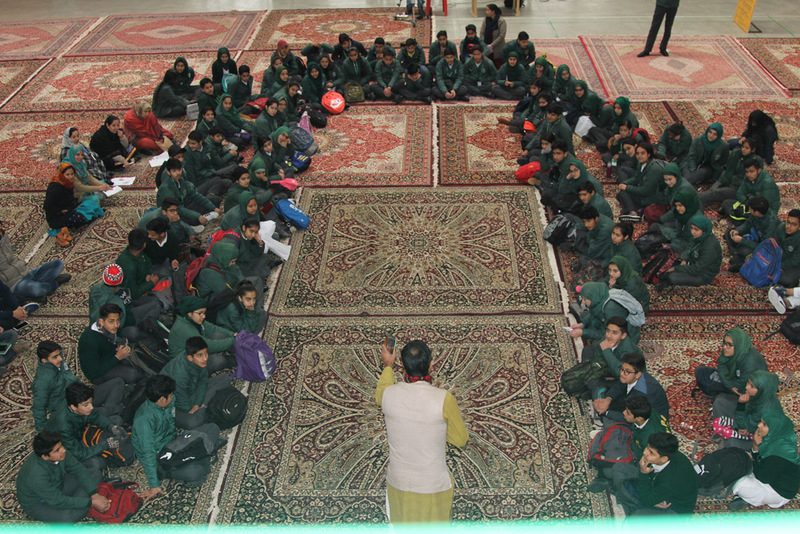 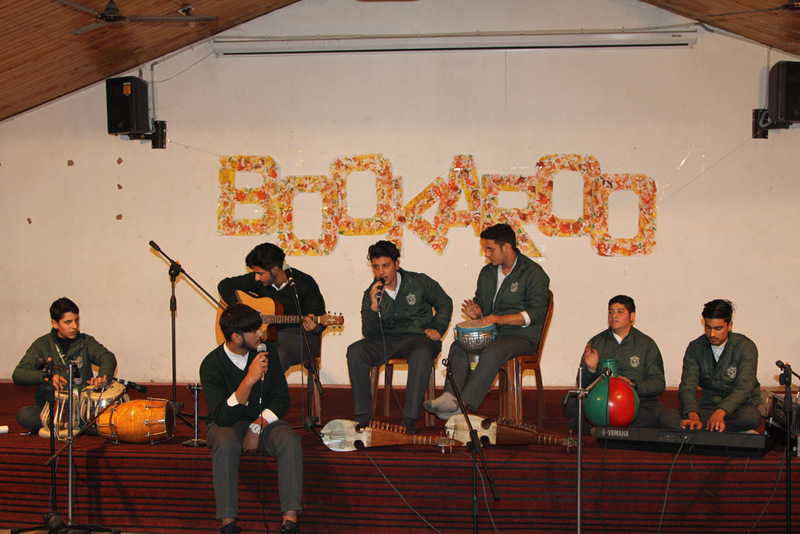 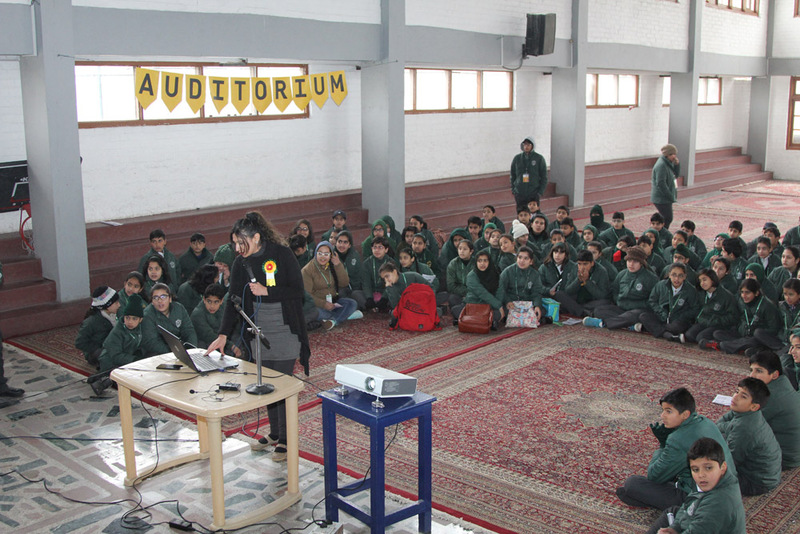 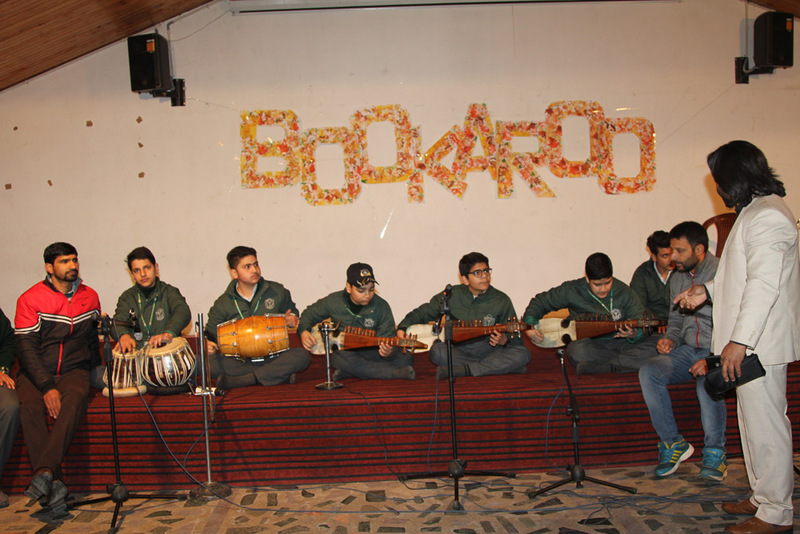 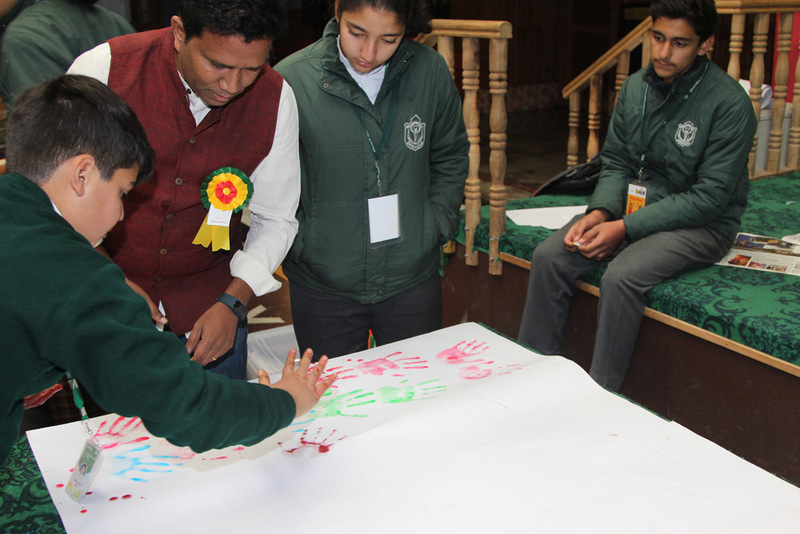 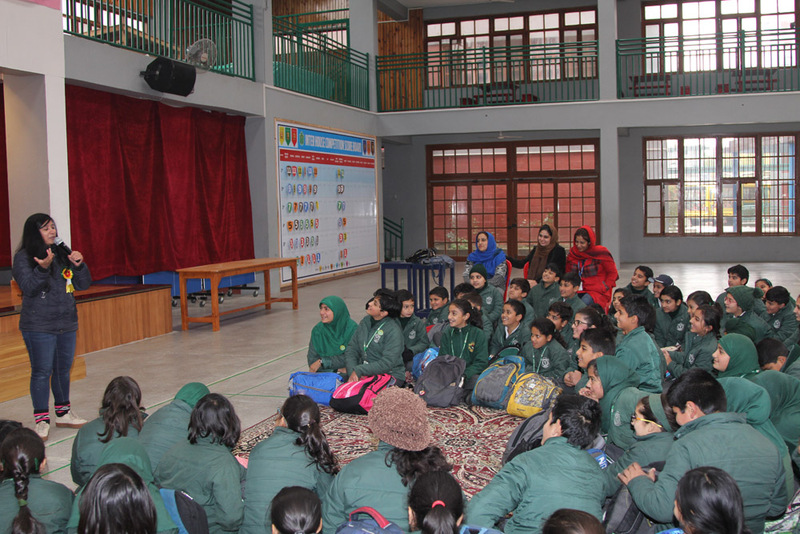 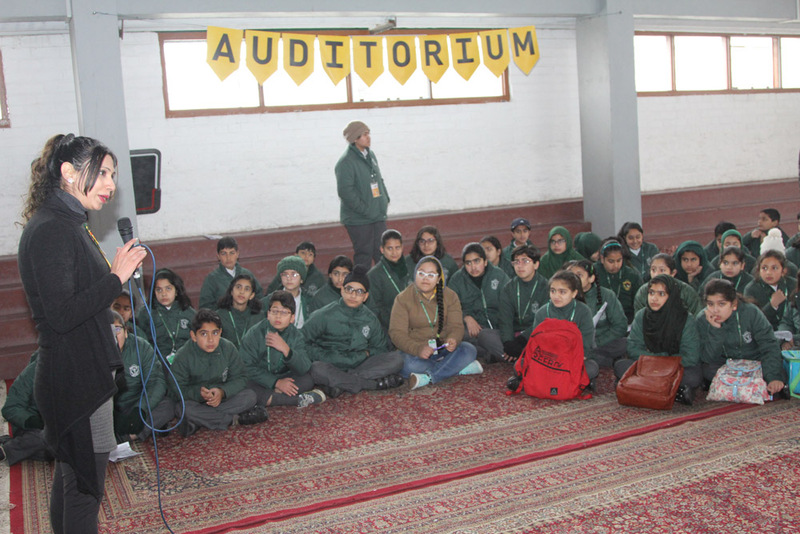 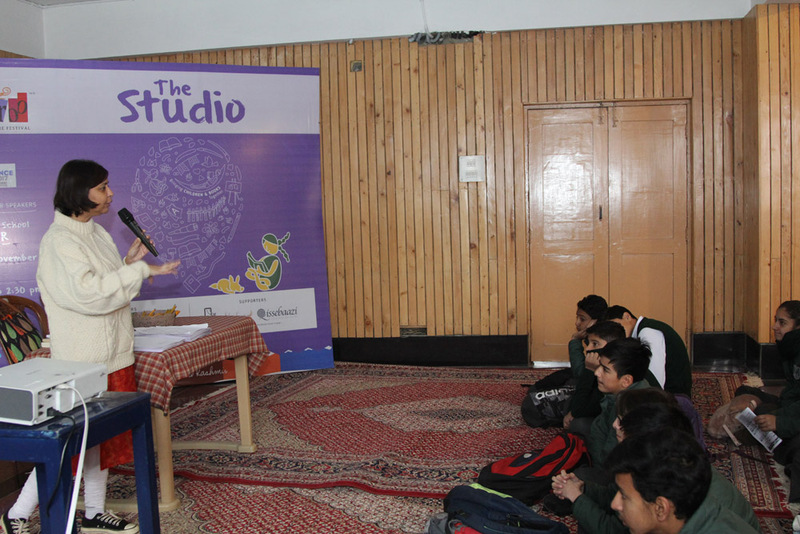 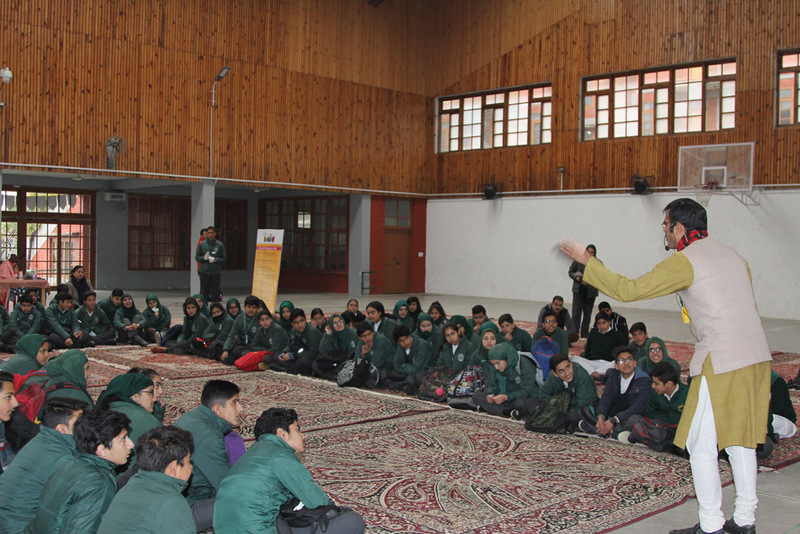 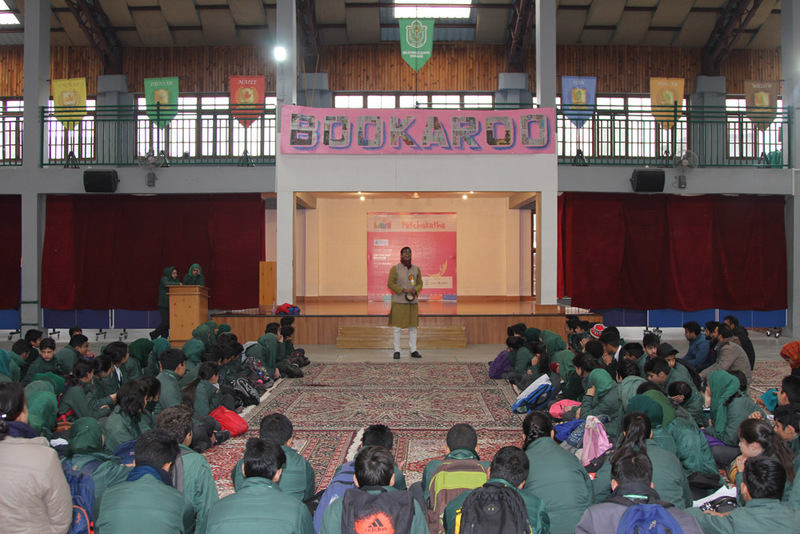 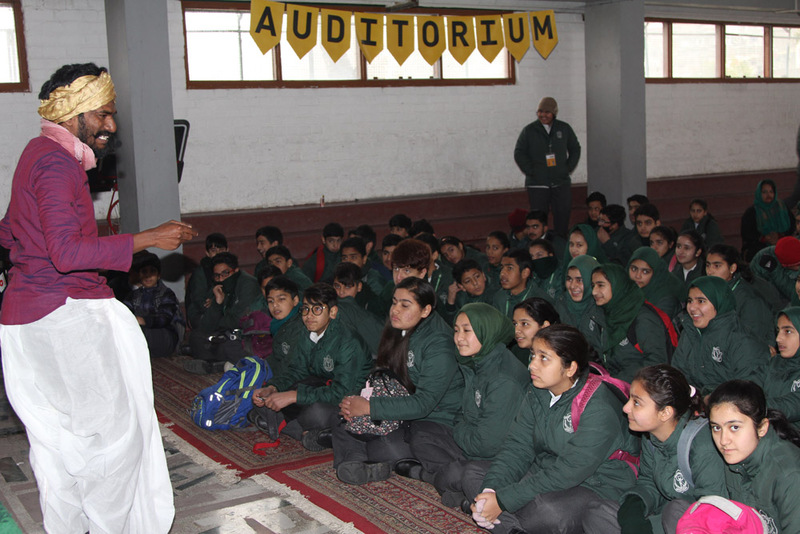 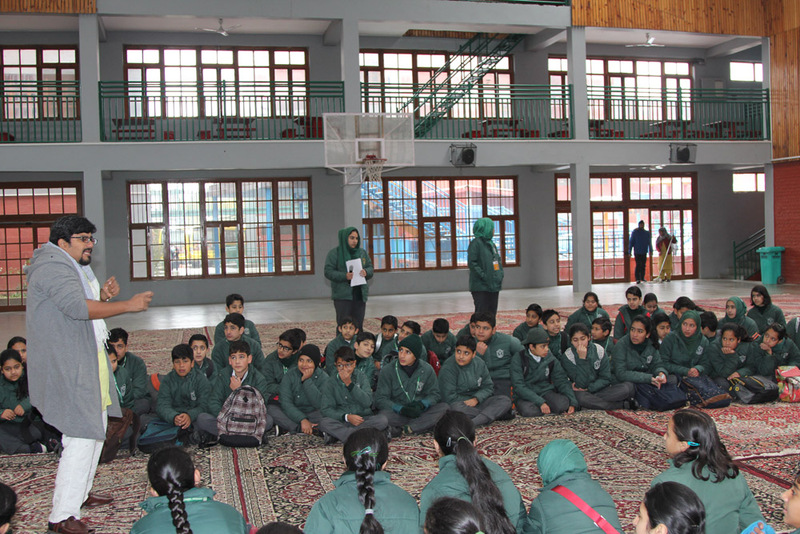 The two-day Bookaroo Children’s Literature festival conducted by DPS Srinagar for the sixth time in succession, concluded on a successful note today. 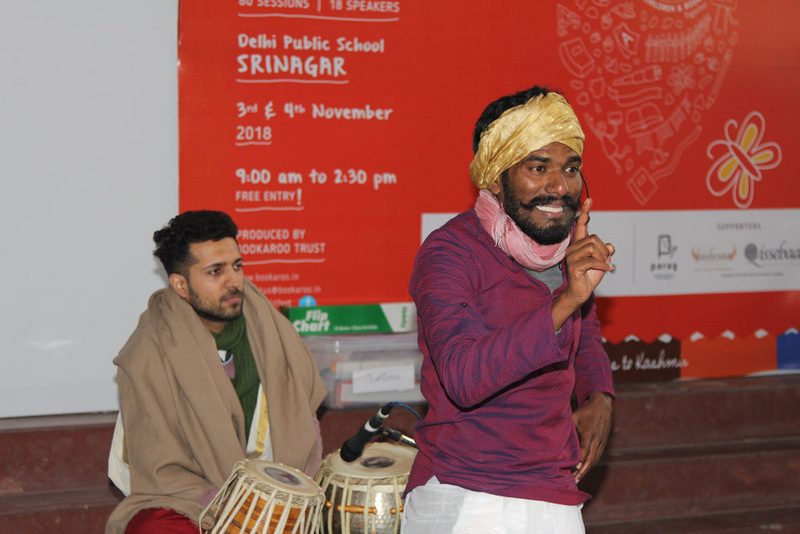 The festival – held on 3rd and 4th November – had 80 sessions conducted by 21 speakers from 6 cities in India and one from Sri Lanka. 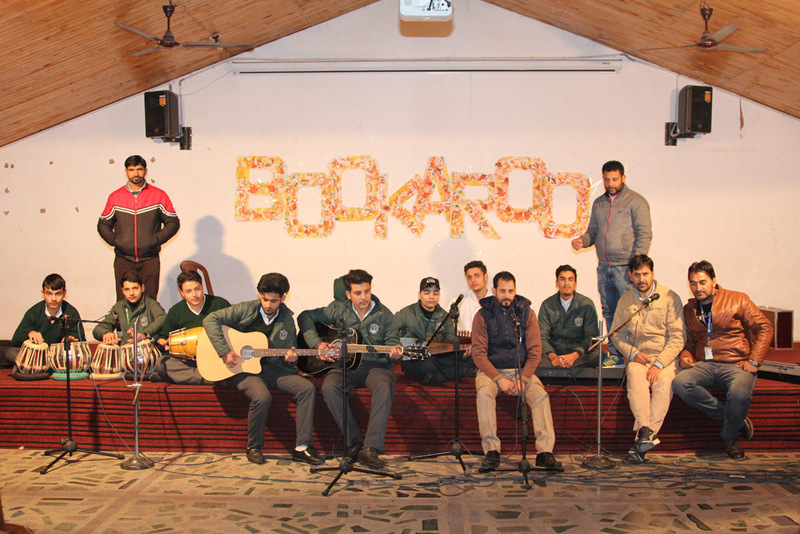 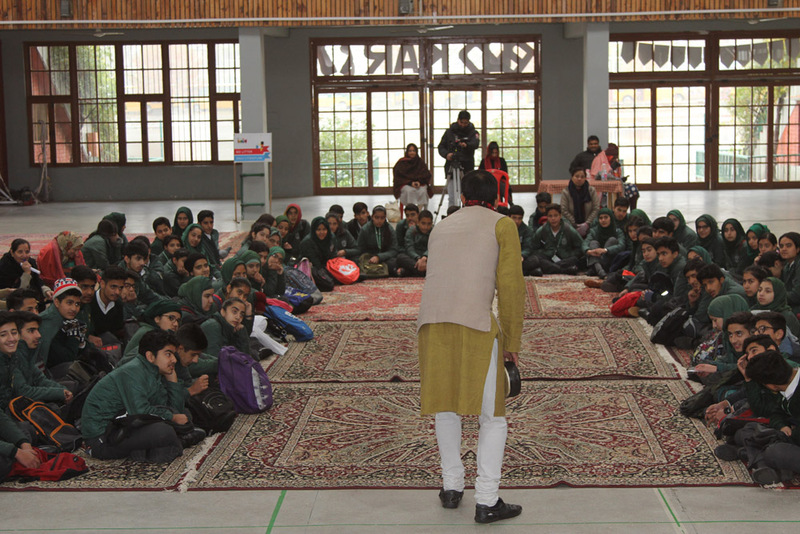 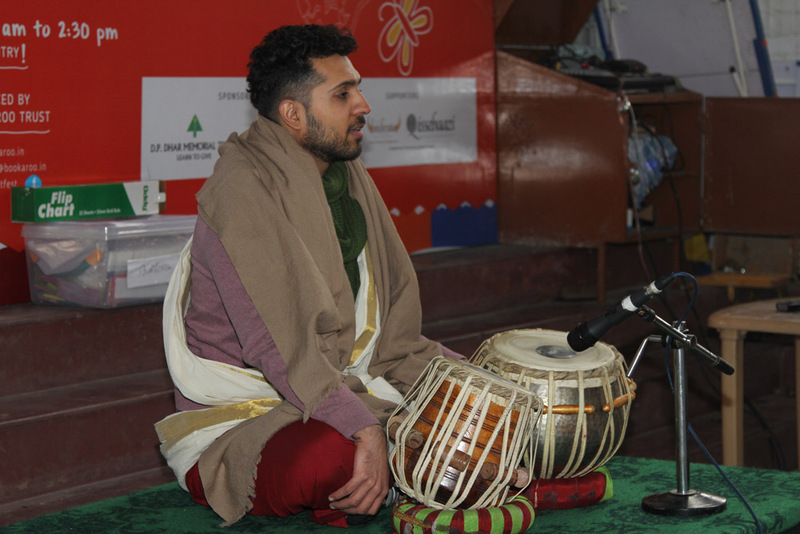 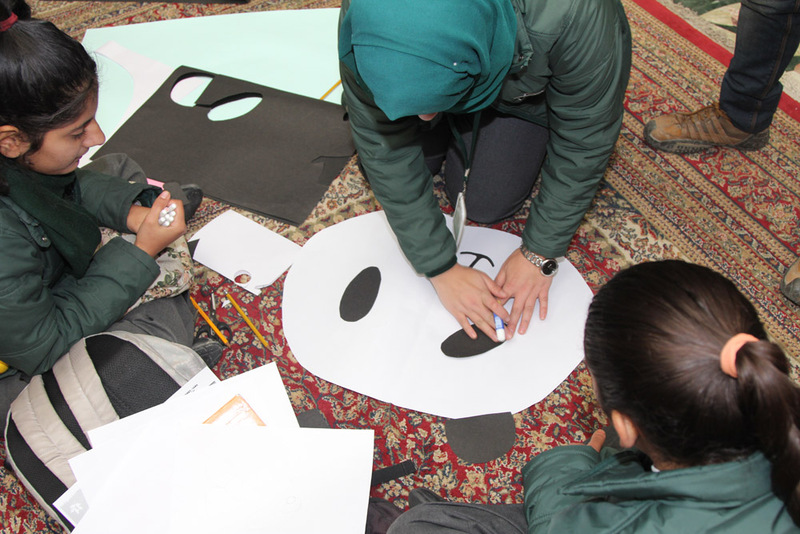 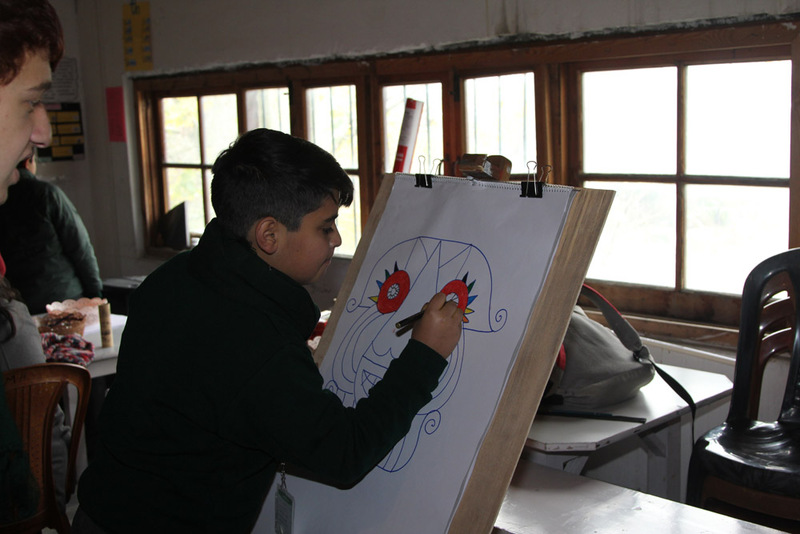 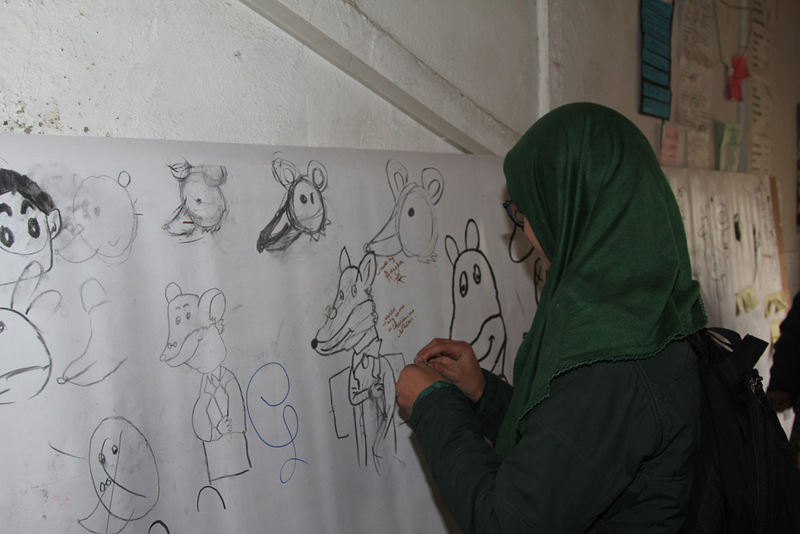 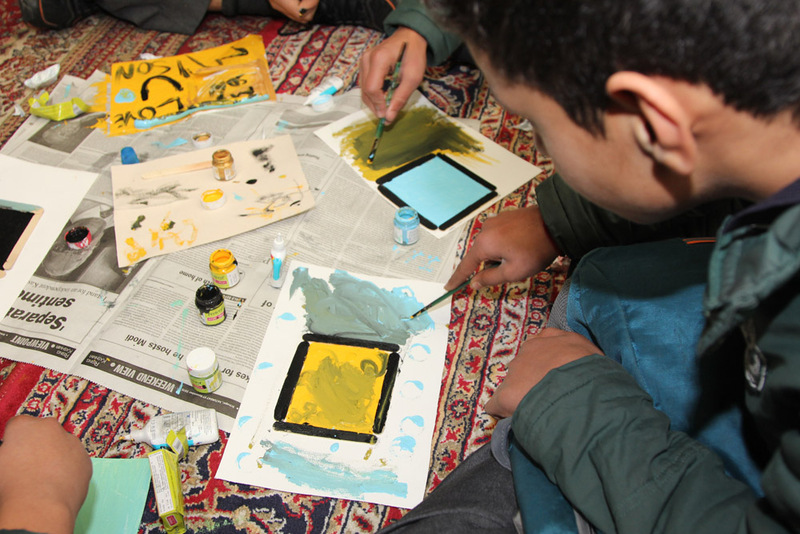 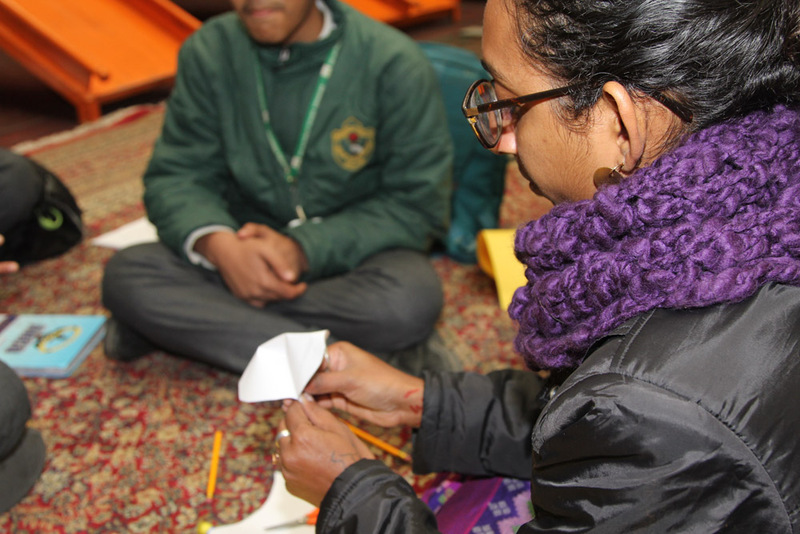 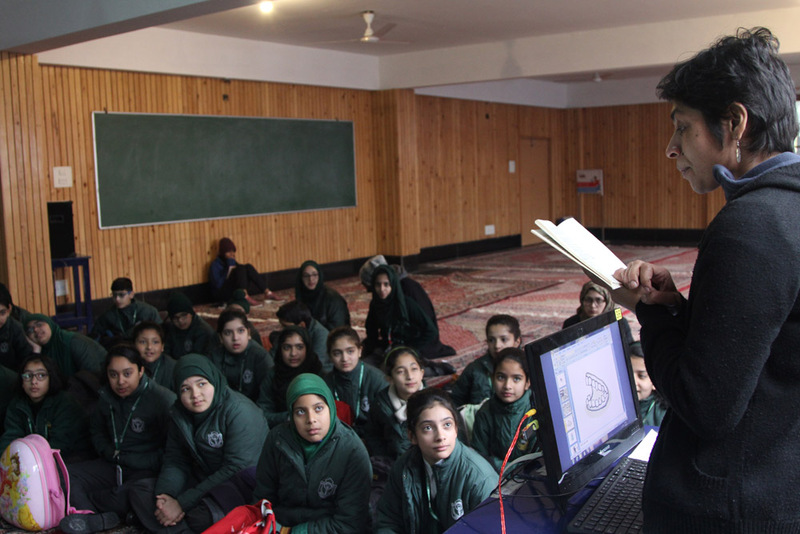 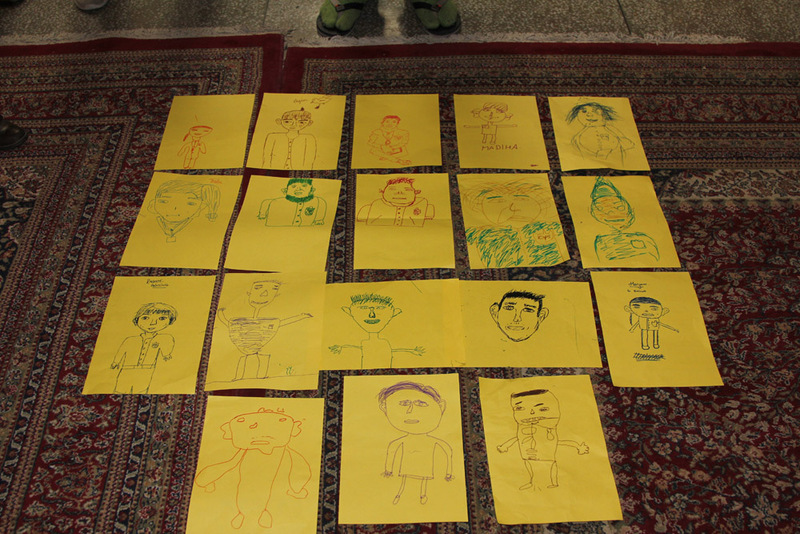 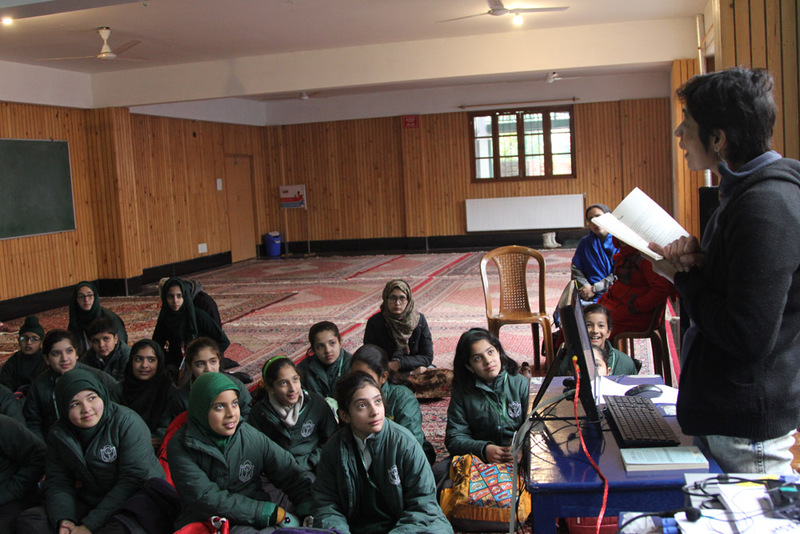 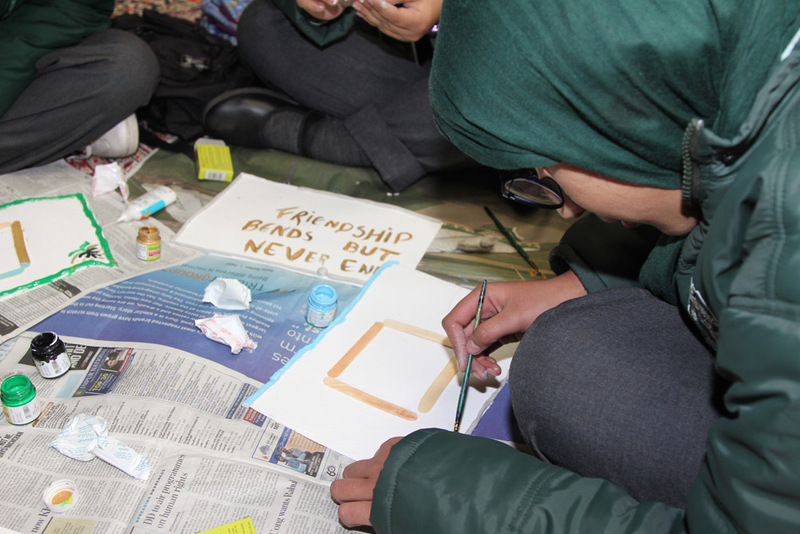 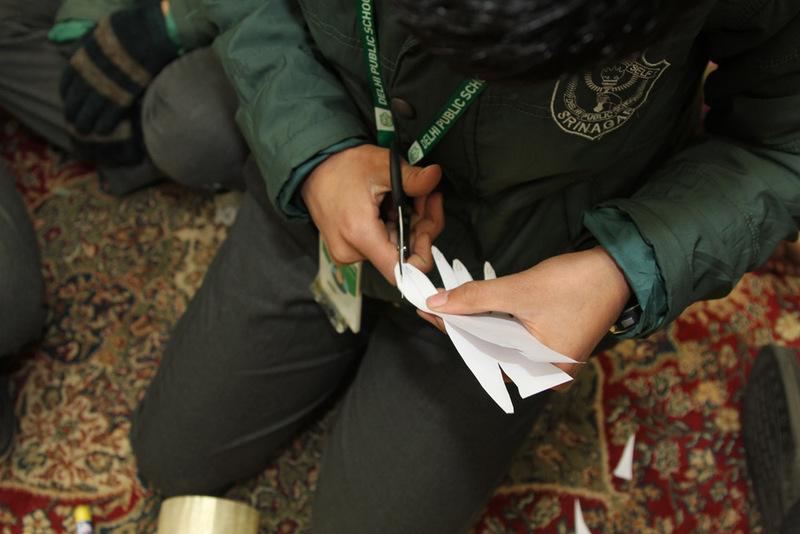 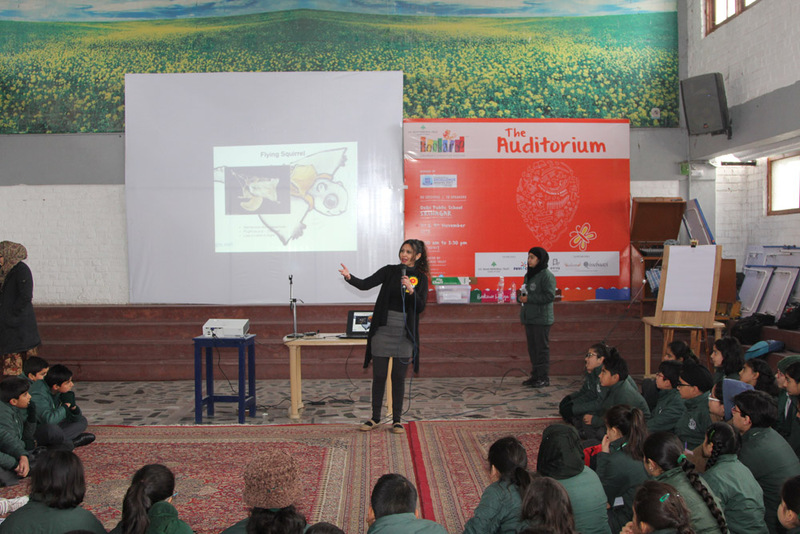 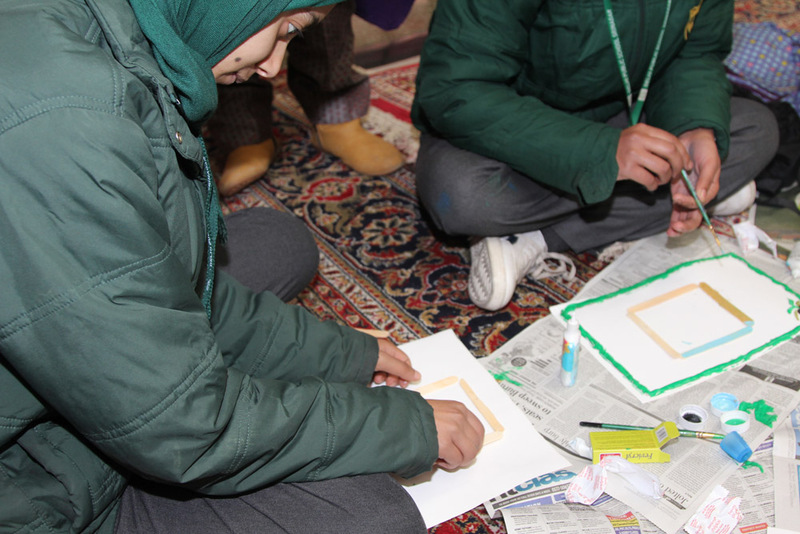 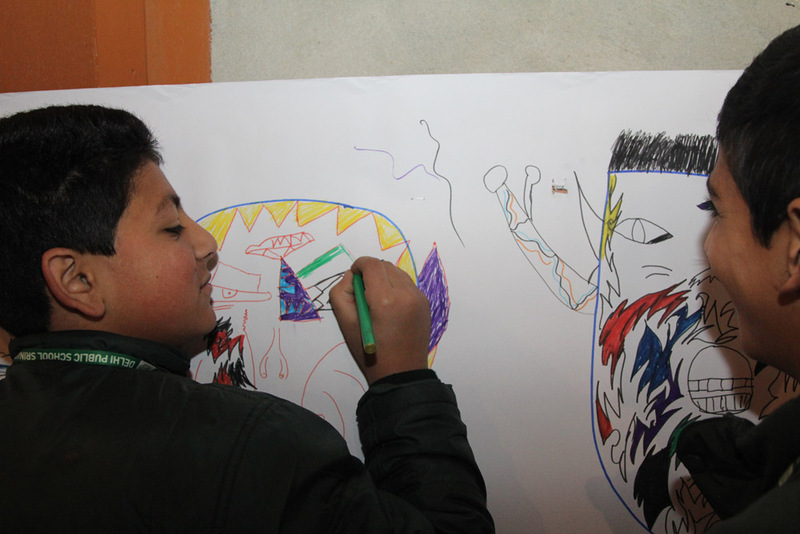 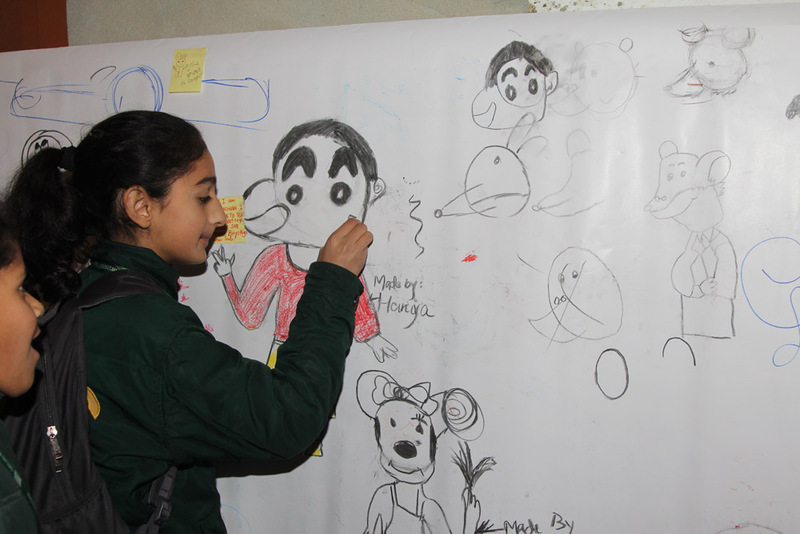 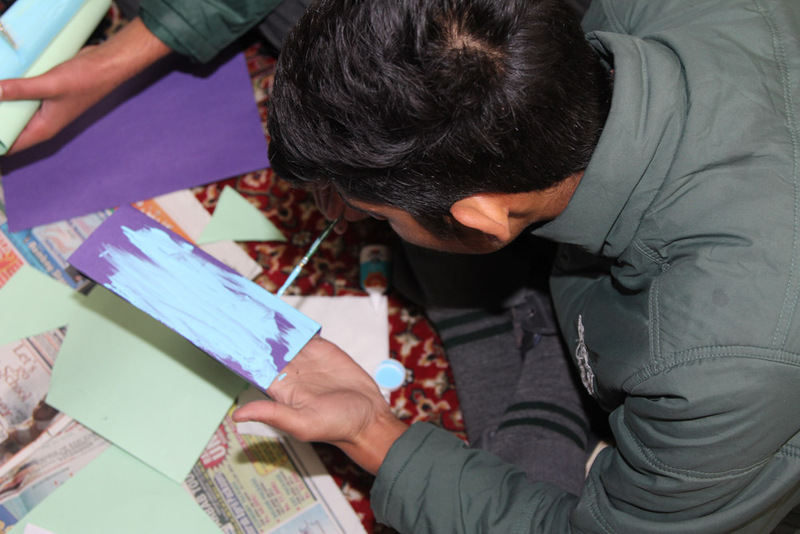 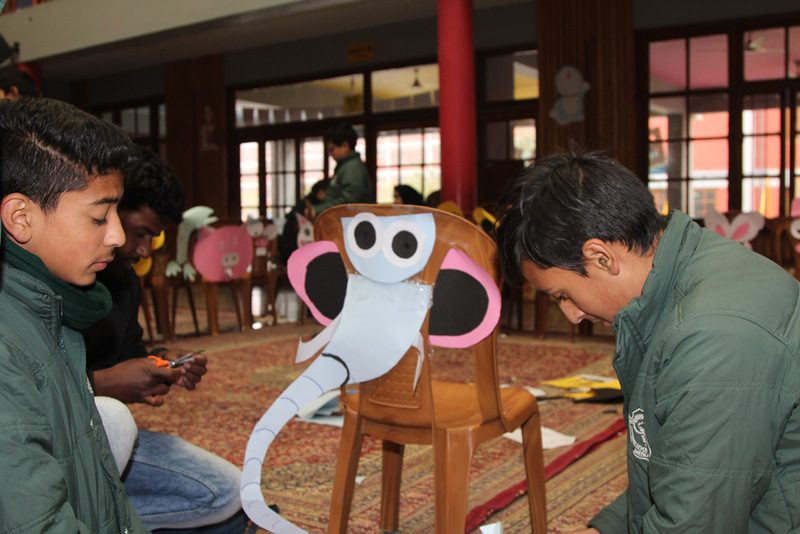 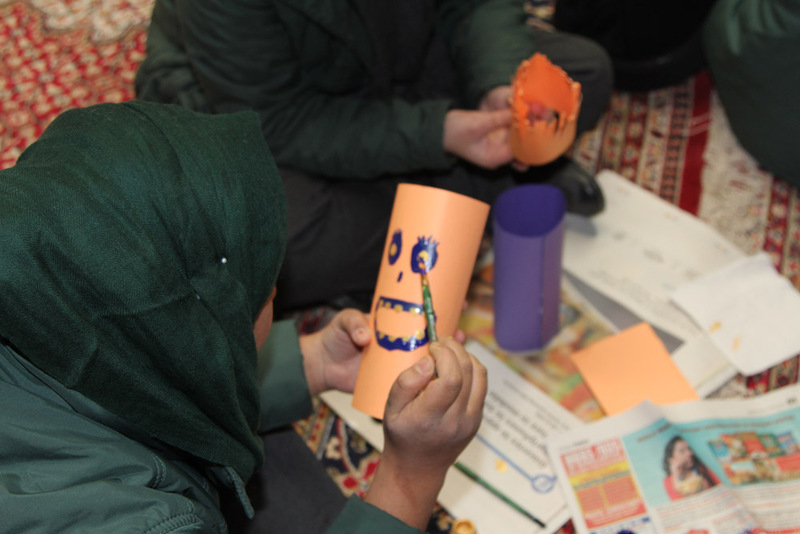 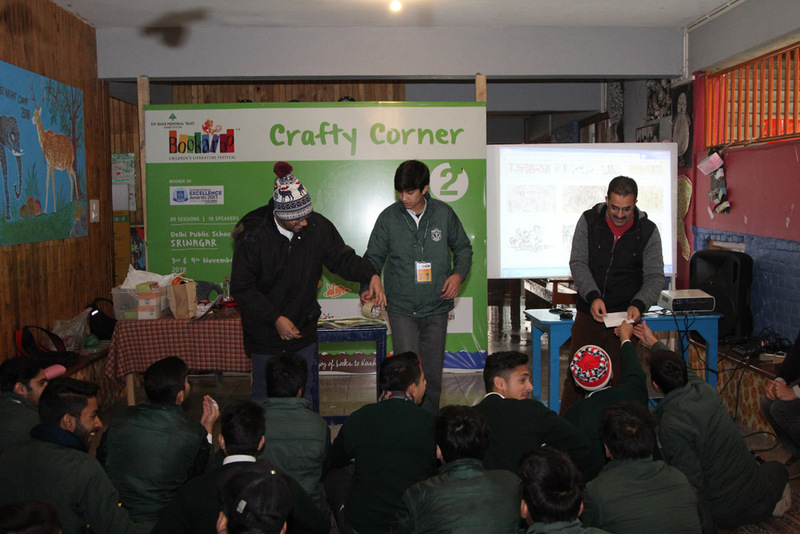 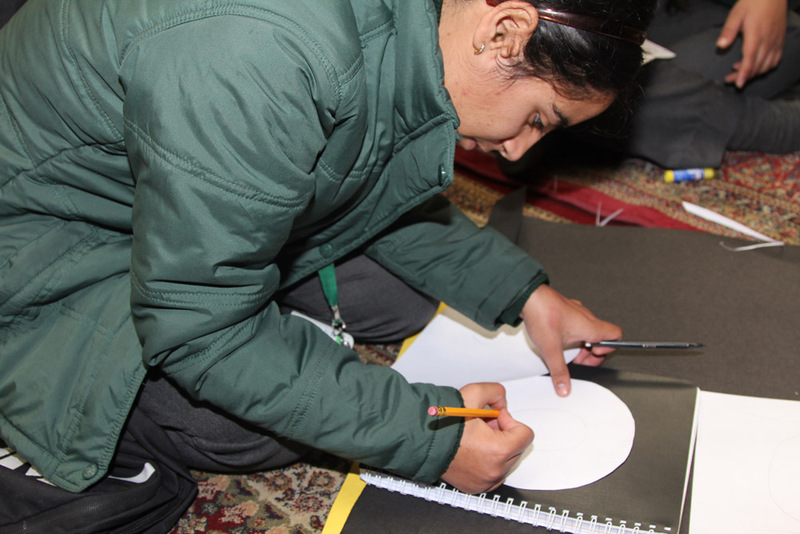 With book readings, storytelling, drama, two sessions on Qissebaazi, crafts, illustrations workshops and even a battle between two illustrators thrown in, Bookaroo Srinagar was a buzz of activity. 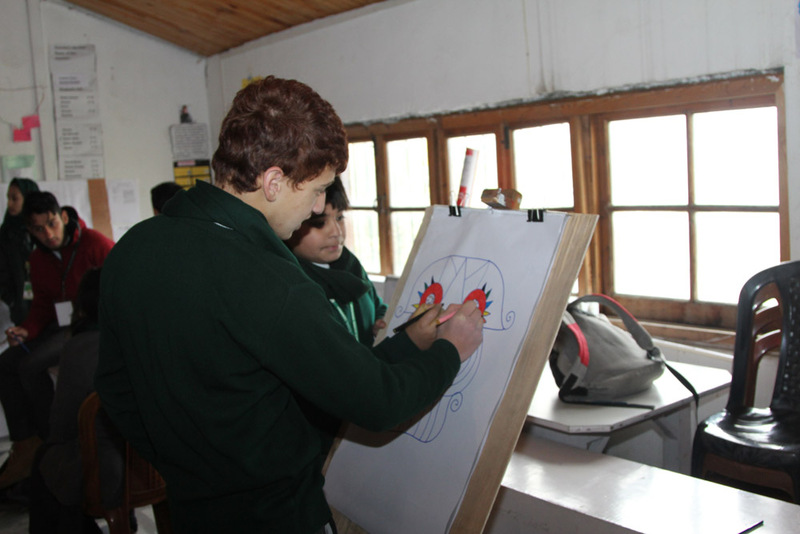 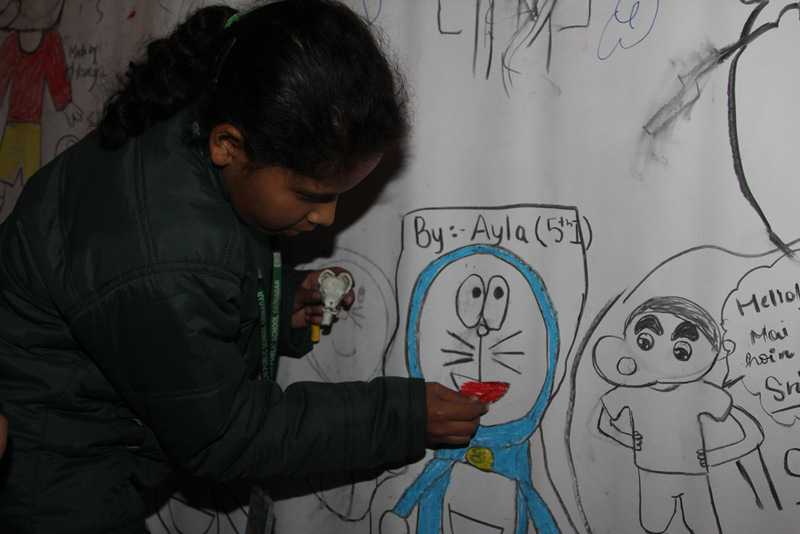 The 2672 children who attended were treated to a canvas that was as illuminating as it was interesting. 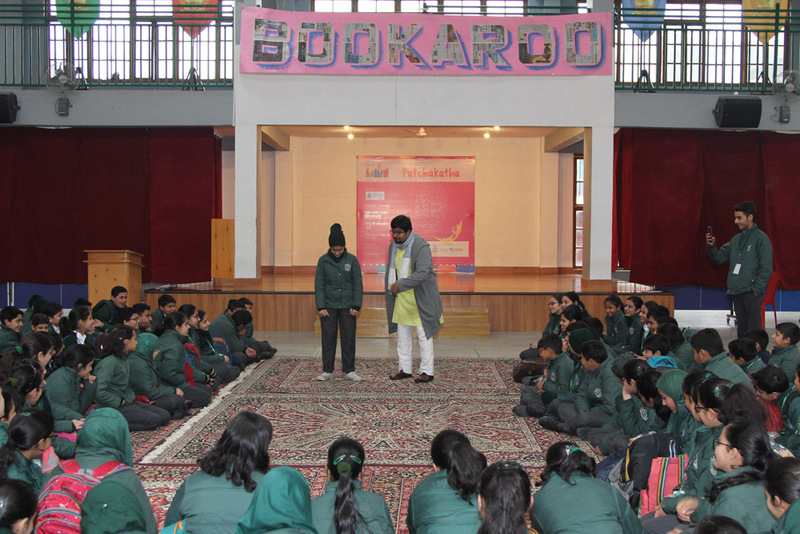 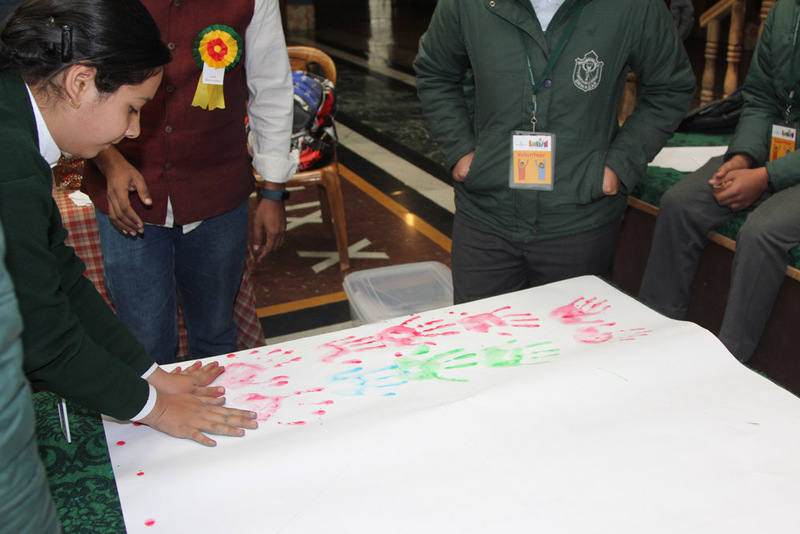 All the sessions witnessed enthusiastic participation and students got their books signed by their favourite authors with whom they had interacted. 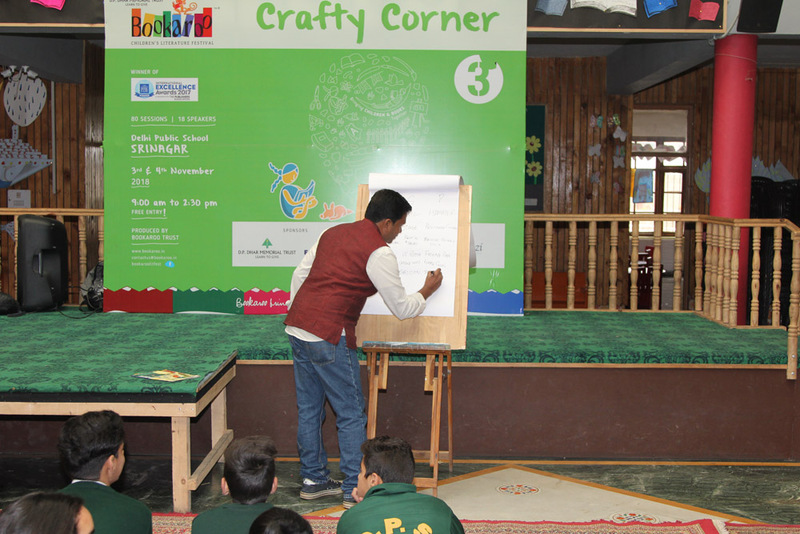 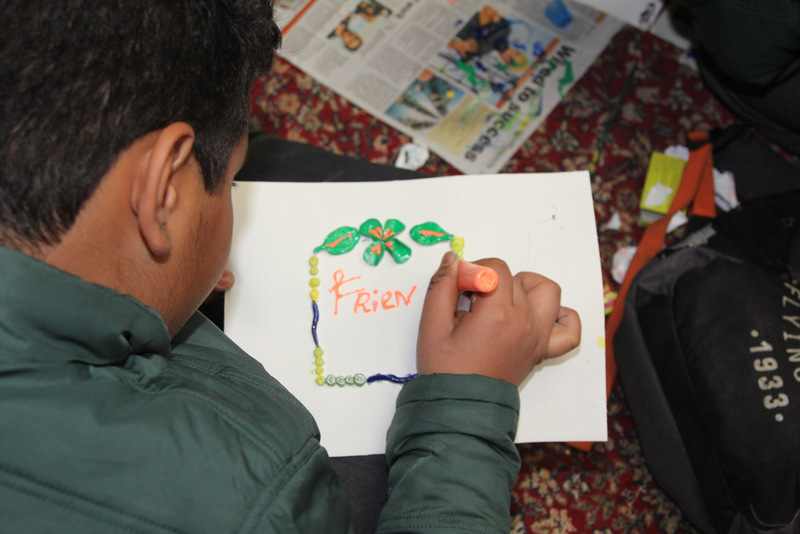 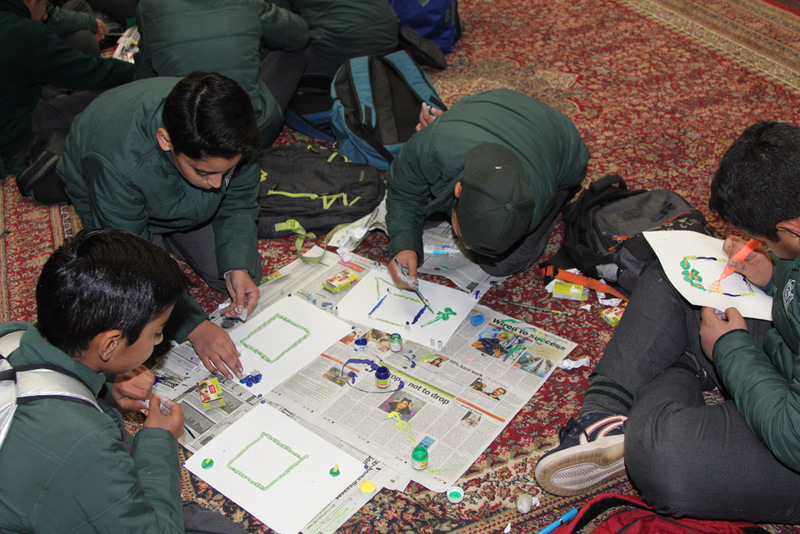 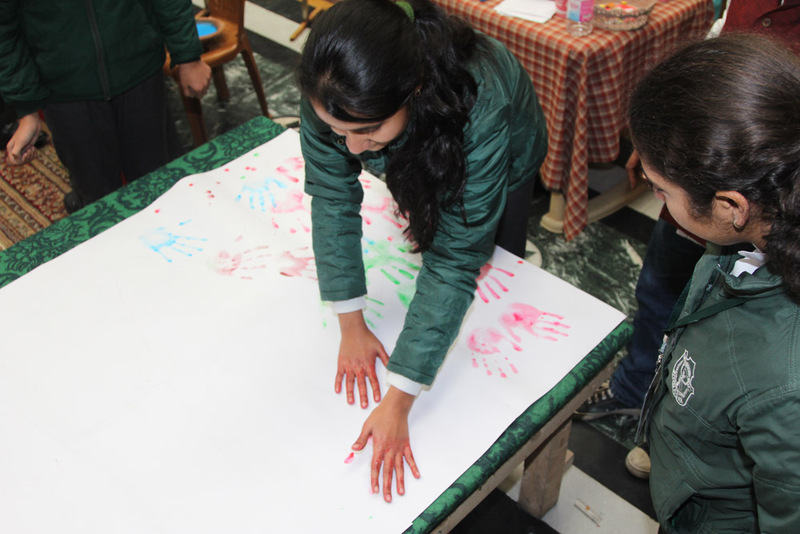 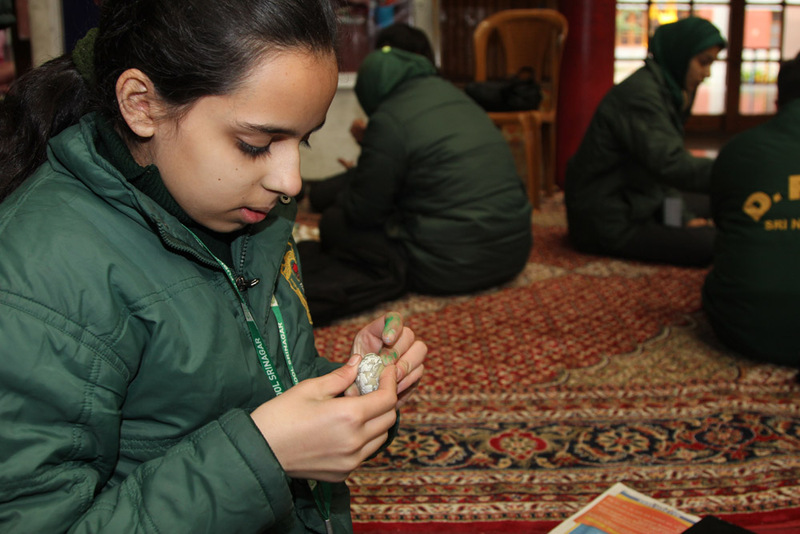 The crafts sessions were spread over four venues and had speakers with sessions on tactile learning, comic-making, hands-on daylong workshops from Pidilite Fevicreate and a chair art session that delighted the children. 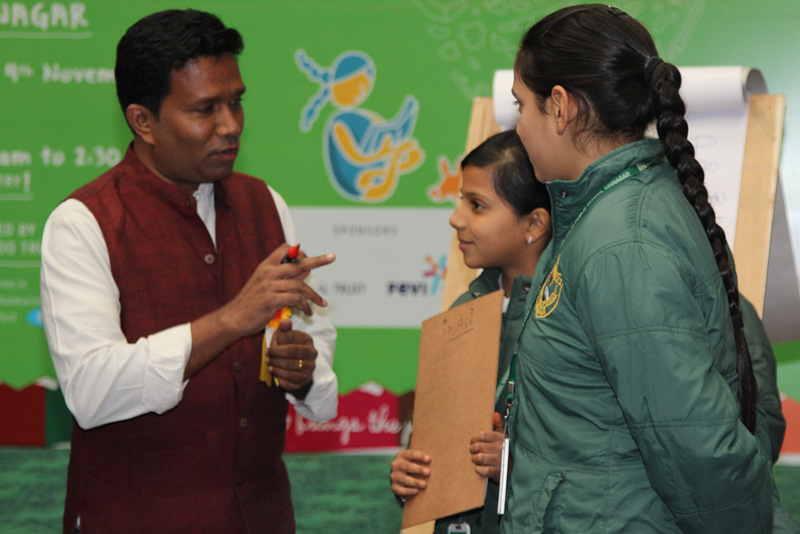 Saving the environment got its due place in the festival with sessions on drawing and writing stories had their own fans. 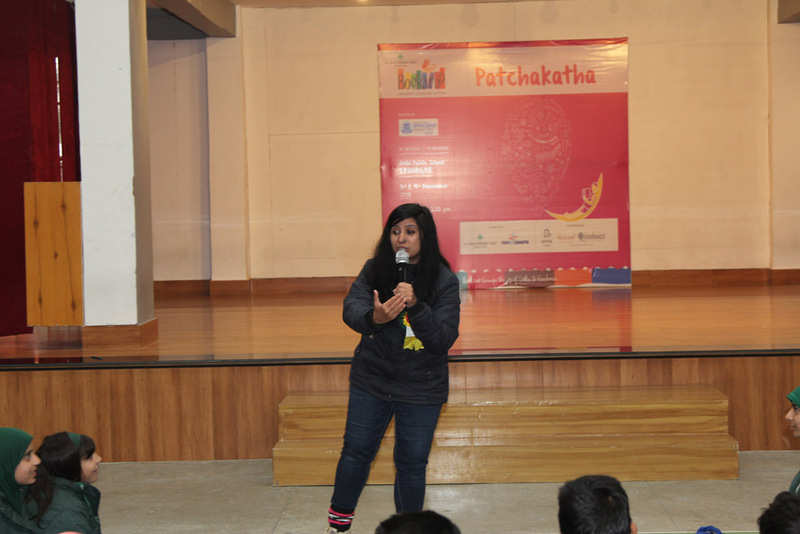 Storytelling at the Patchakatha drew some of the loudest cheers. 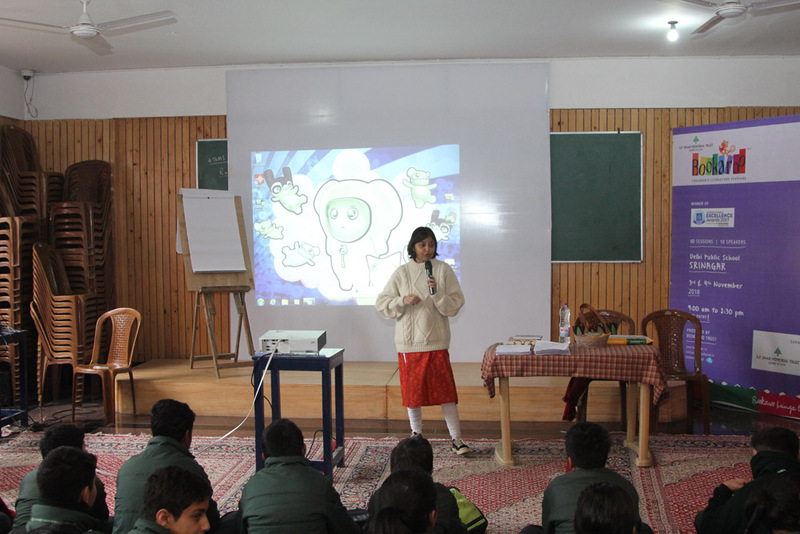 Each session was carefully crafted to address children from age 6 to age 13. 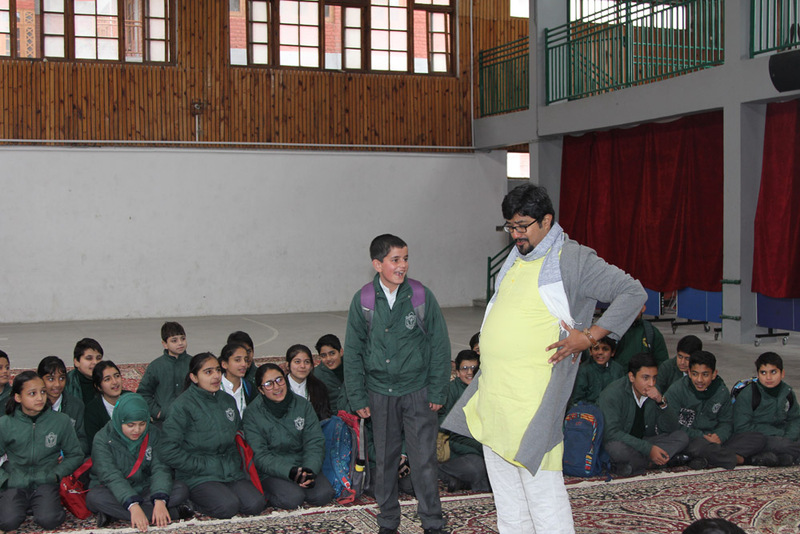 Each speaker had his – or her – own way of stimulating the children without making it a boring imposition. 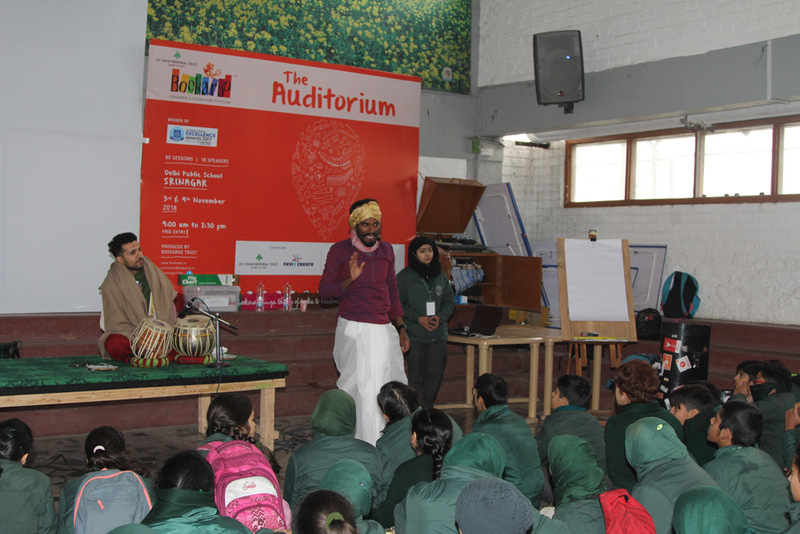 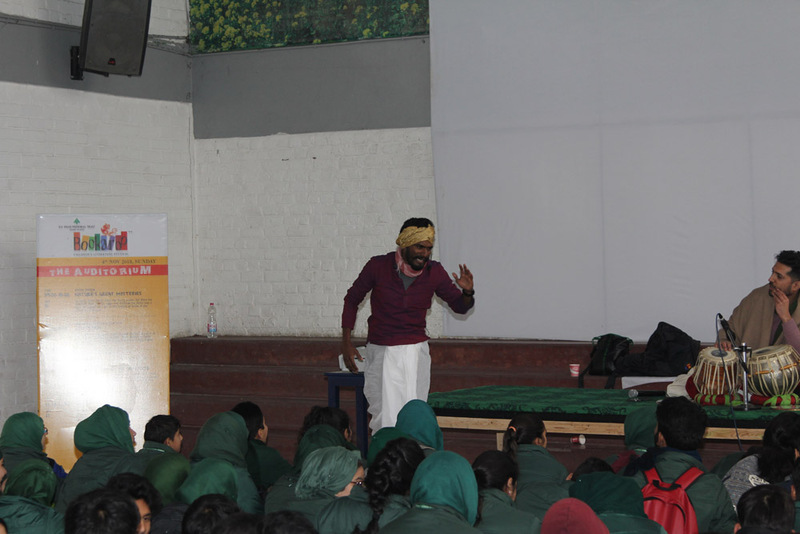 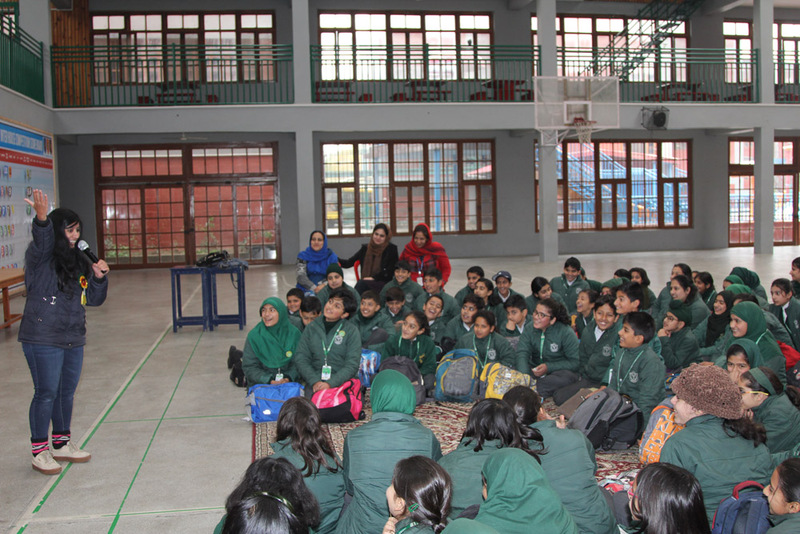 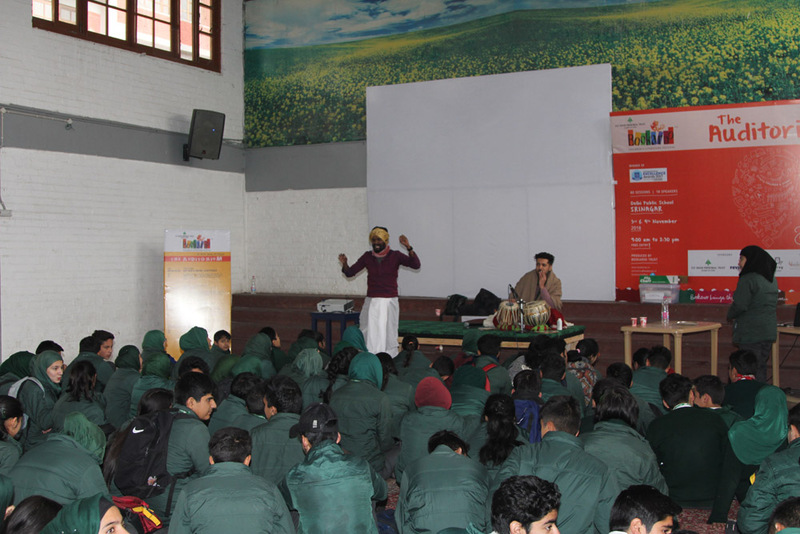 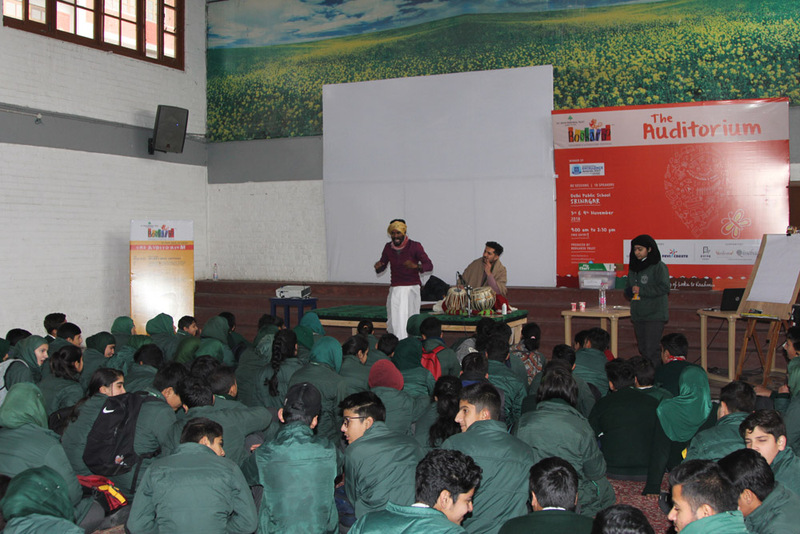 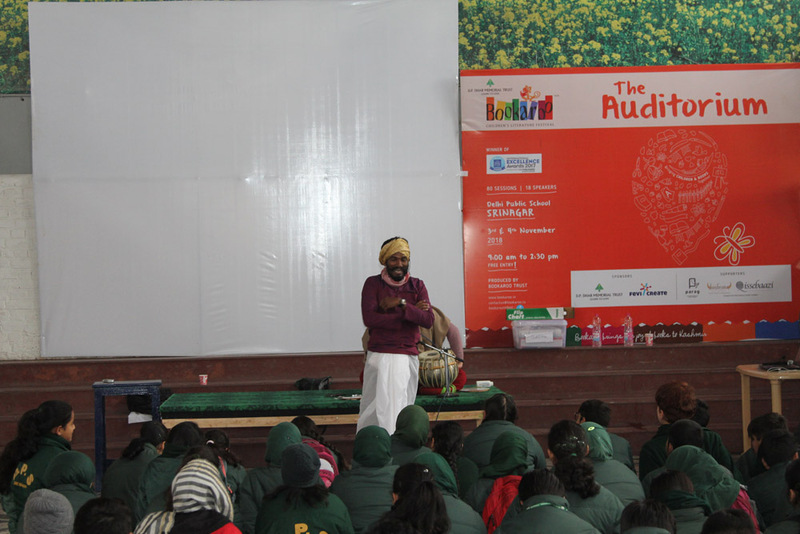 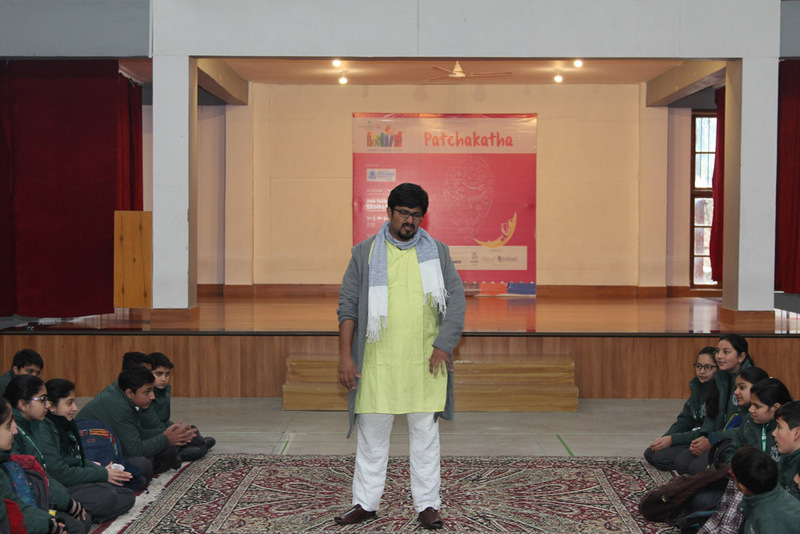 Stories from fiction, stories from real-life, school stories and stories of ancient fables lit up the two days. 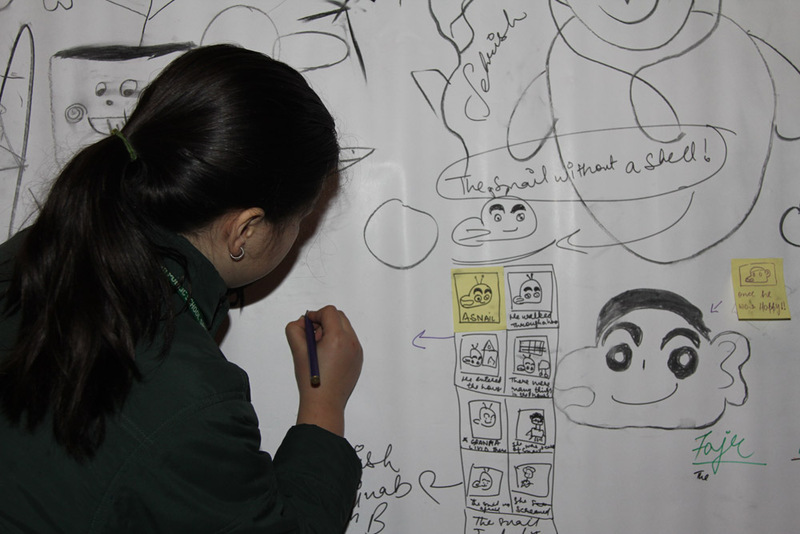 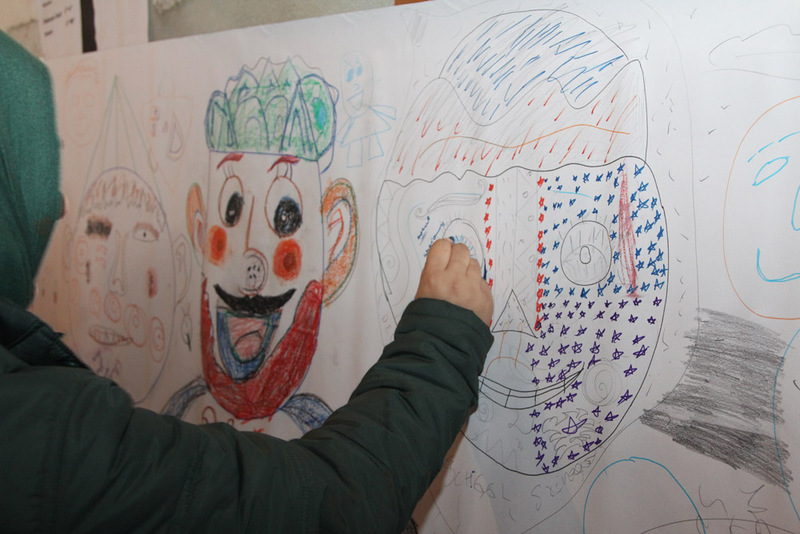 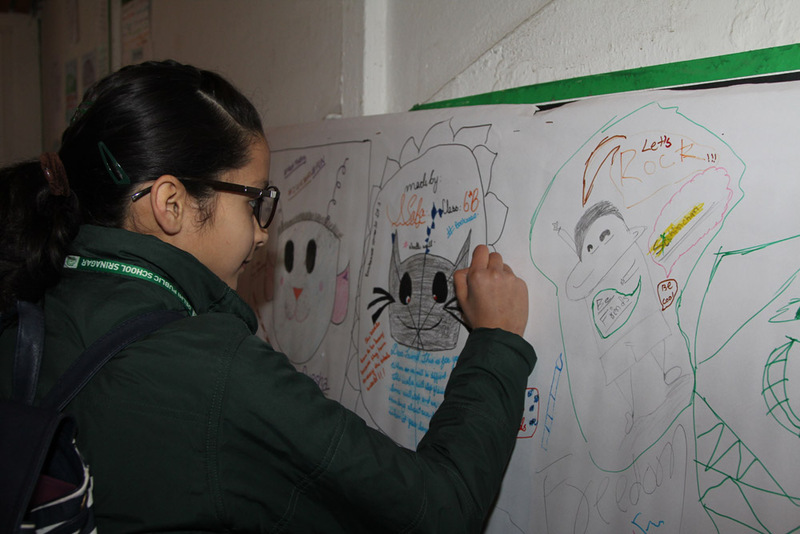 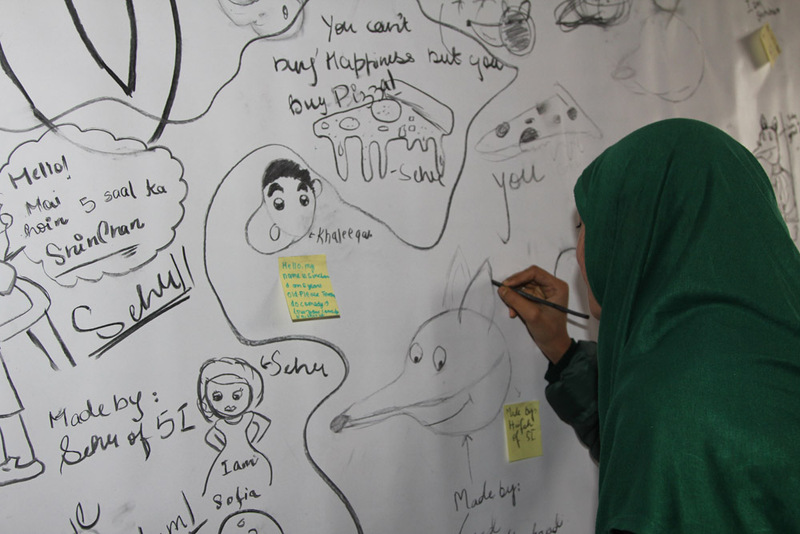 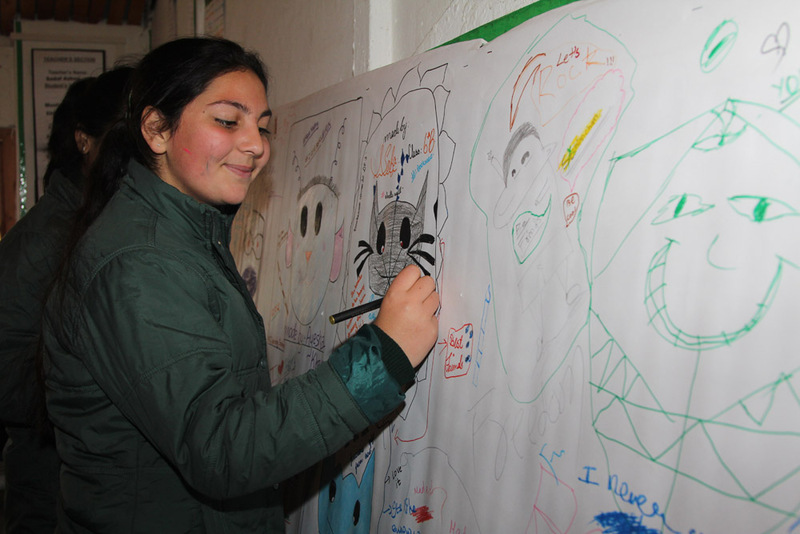 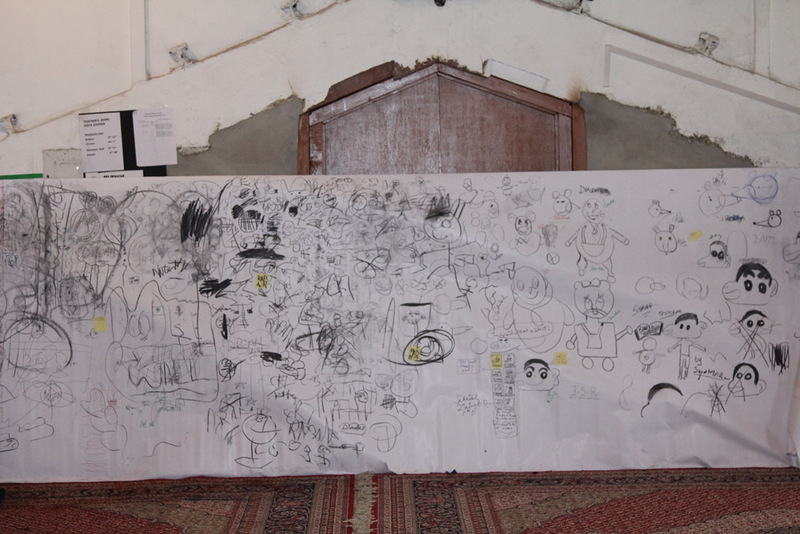 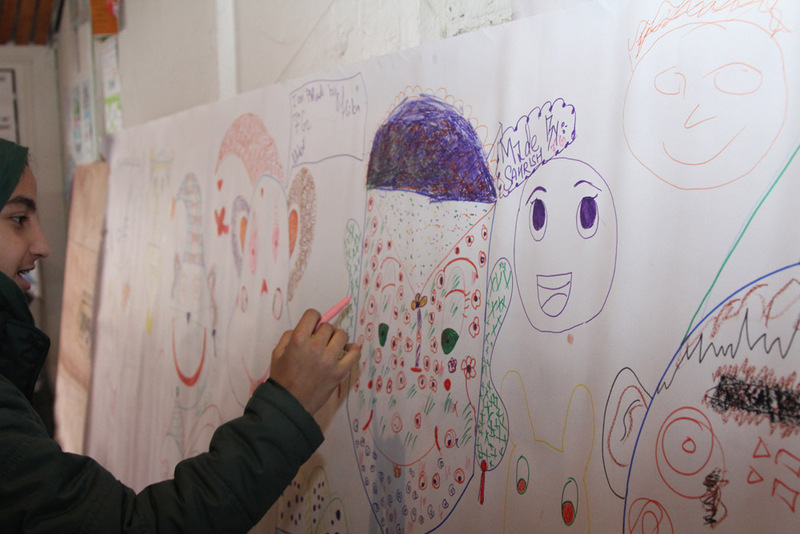 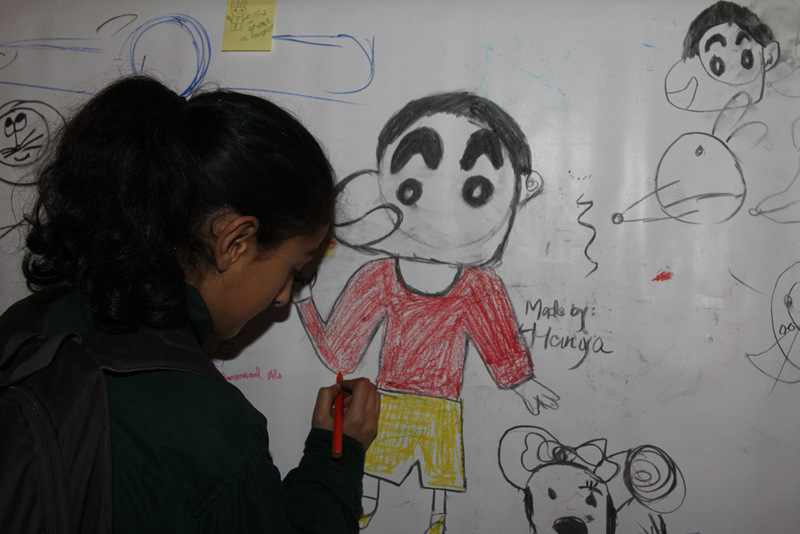 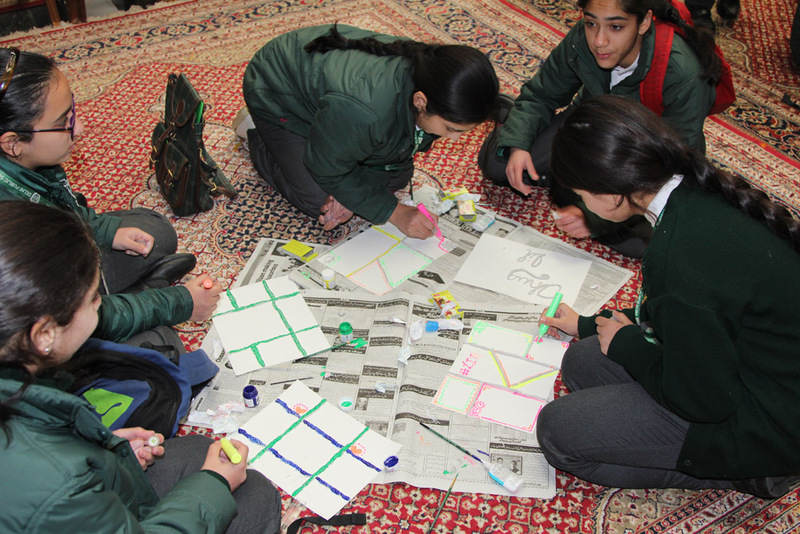 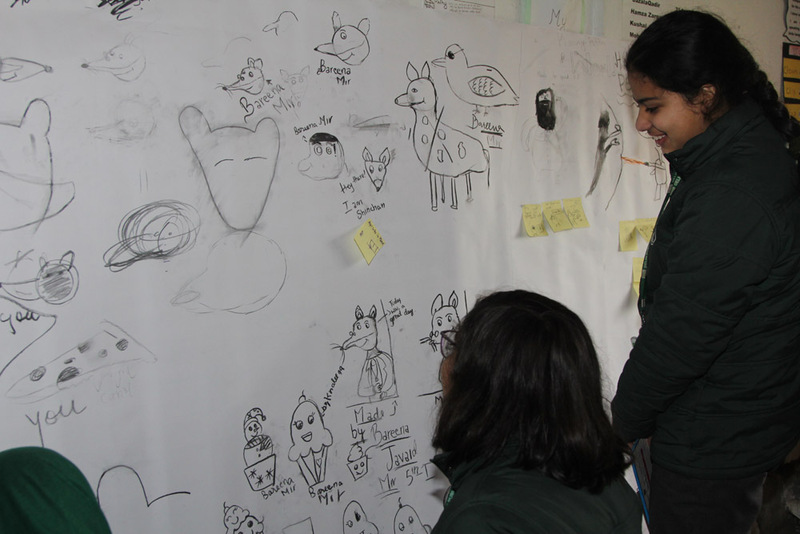 More splashes of colour came from the Doodle Wall, a celebration of art. 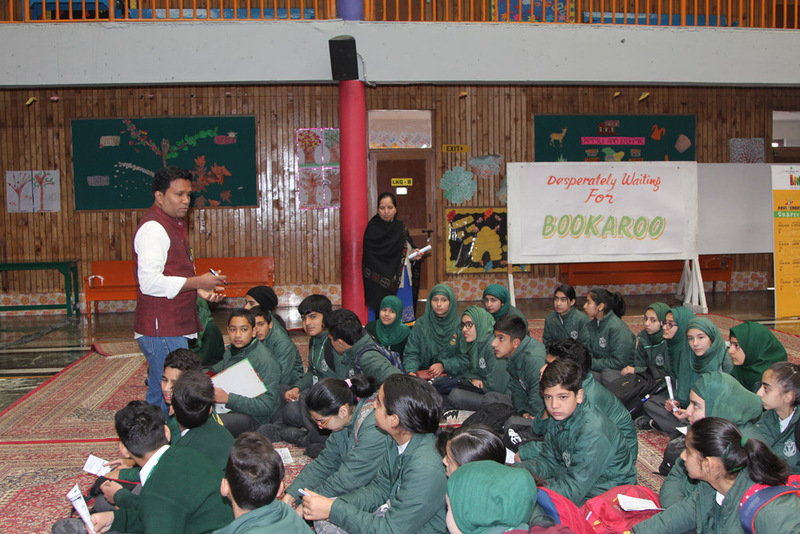 “Bringing books and children together was never more joyous. 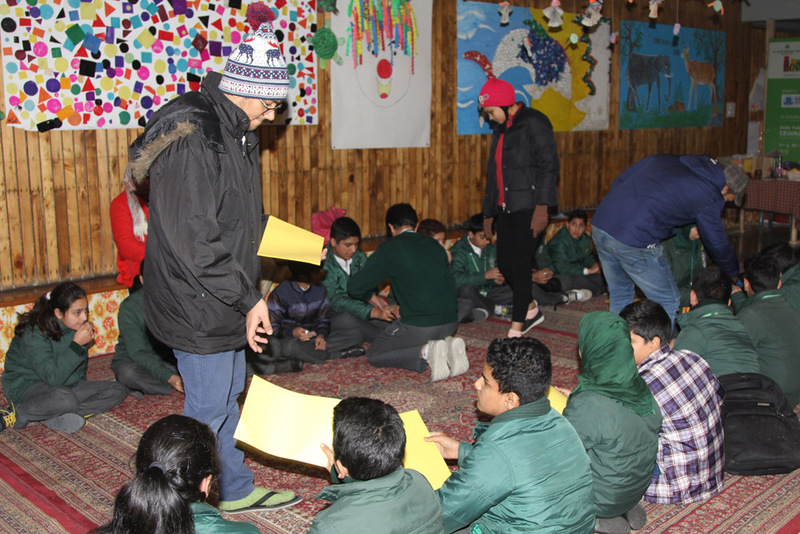 The enthusiasm of the children and their teachers was like never before and the unexpected snowfall only added fun to it. 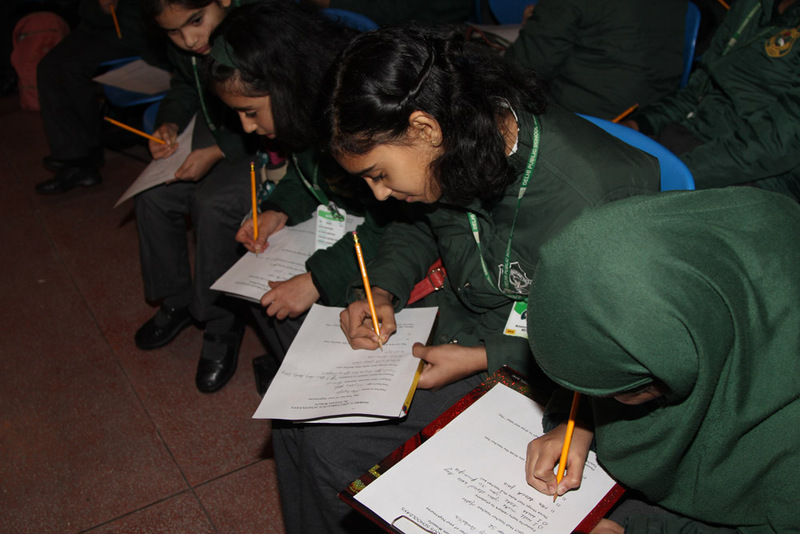 It was a pleasure dealing with the near-perfect backup team from the school. 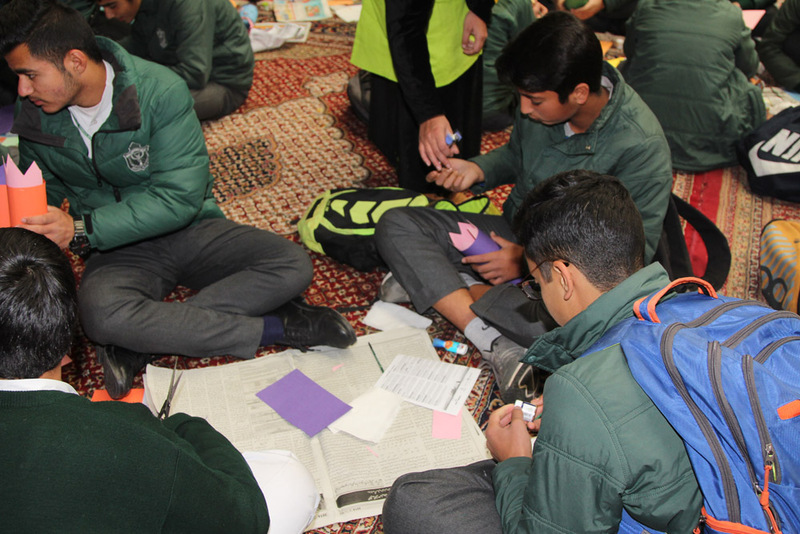 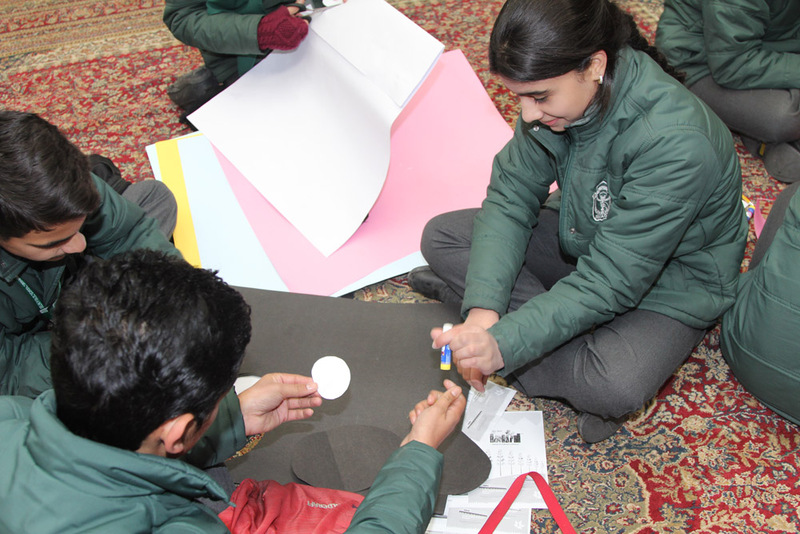 We were both flattered by the attention and impressed by the detailing the school’s core team had done for the festival, which went off without a hitch. 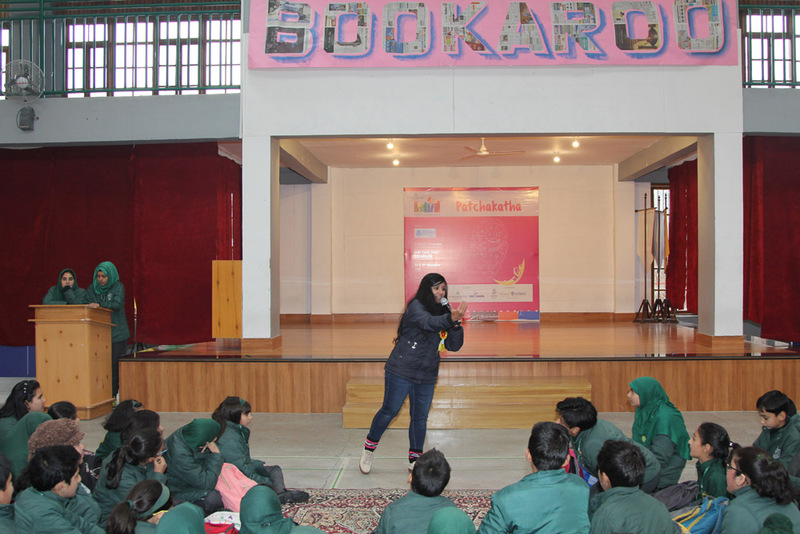 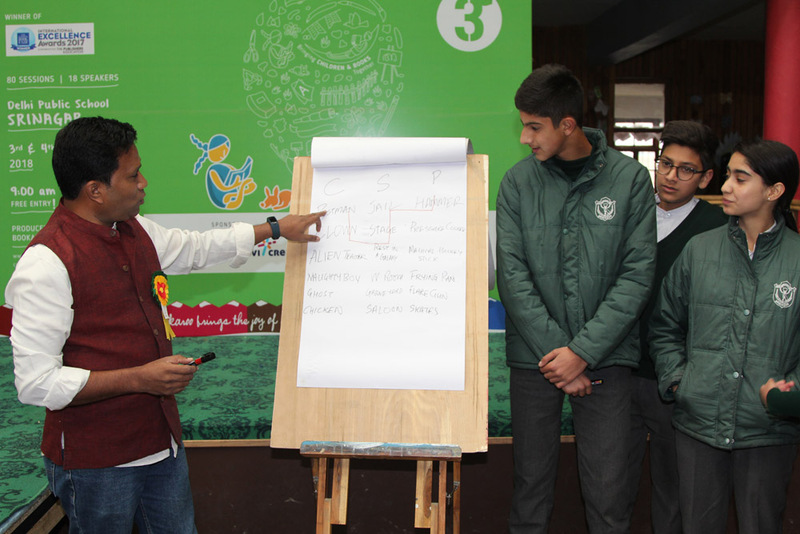 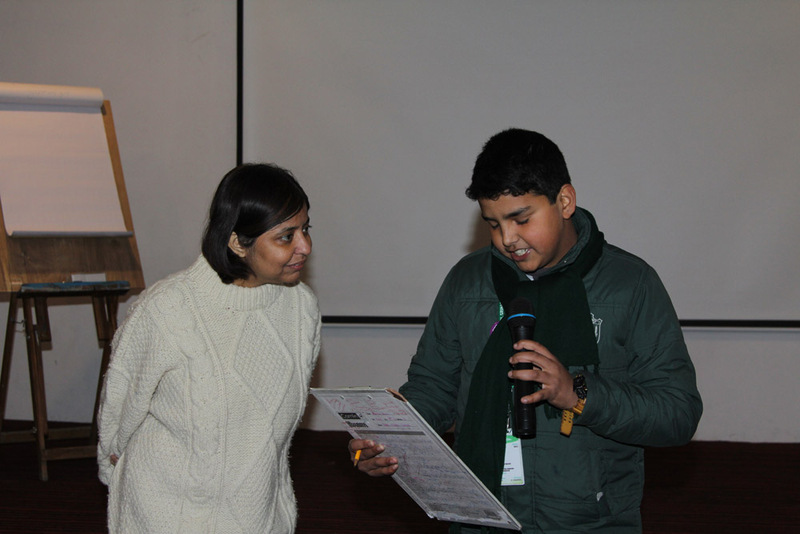 Our speakers too were equally mesmerized giving off one inspired session after another.The country – and its children – needs more ardent supporters of children’s literature like Kiran and Vijay Dhar, Sunanda and Vikas Dhar.,” said Swati Roy, Festival Director, Bookaroo.